Last month, members of Master of Code Global attended VHacks, an unprecedented student-led hackathon hosted at the Vatican, and supported by Microsoft, AirBnB and Salesforce. At one of the holiest sites in the world, more than 120 talented students, from the top 60 universities across 35 countries participated in the Vatican’s very first hackathon. These outstanding minds were tasked to create tech solutions around three prevalent themes of social good: interfaith dialogue, social inclusion, and the migrant and refugee crisis. The catch, create a working solution in less than 36 hours. The Vatican does sound like an unusual place to host such an innovative event, however the Pope has expressed his excitement for the potential of technology to not only increase knowledge and understanding, but its opportunity to inspire equality and social inclusion. Our CEO, Head of Engineering and myself were invited to be 3 of the chosen 35 mentors to one of the 24 participating teams, an honour to do so alongside Microsoft, Salesforce and Google that also had their mentors on site. Hackathons are nothing new to us, as we’ve previously ran and hosted these tech marathons such as Ramp Up Weekend, our annual Halloween Hackathon, Alexa Hackathon, and Chatbot Hackathon. VHacks was special because it was a true celebration of all cultures and beliefs, bringing together the world’s best and brightest students all with one goal: to make the world a better place. We deal with exceptional people all the time, but the talent that we saw from these students was bar none. One of the teams we mentored created a fully functioning chatbot targeted to solve the growing problem of missing migrants and refugees. Users would upload a picture of a missing loved one and the bot would use facial recognition to determine the last time a photo of that person was posted online, along with their last location. Not only were they able to create a fully functional live bot, our team won the VHacks Audience Choice Award. Dmitry Gritsenko, Master of Code’s CEO was one of the mentors in attendance. It was an incredible experience to see these students so motivated to create a solution that not only worked, but one that could solve real life problems, deployed in less than 3 days. We also presented to attendees alongside our partners at LiveEngage, on how to build rich conversational interfaces using chat applications, and the many business cases they can address and solve. It was a whirlwind of an event, complete with passionate people, innovative minds, and inspiring talent. We look forward to watching the Vatican continue to work with these students and seeing how the developed projects evolve in the coming months. 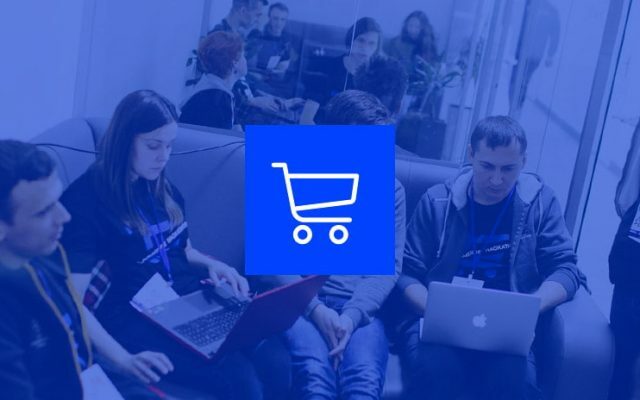 Shopify App Development: Is It Possible to Build an E-commerce App in 24 Hours at Hackathon?